NEW DELHI, Dec. 23 (Xinhua) -- Senior officials of China and India have agreed to properly handle border issues so as to jointly safeguard peace and tranquility in their border areas. 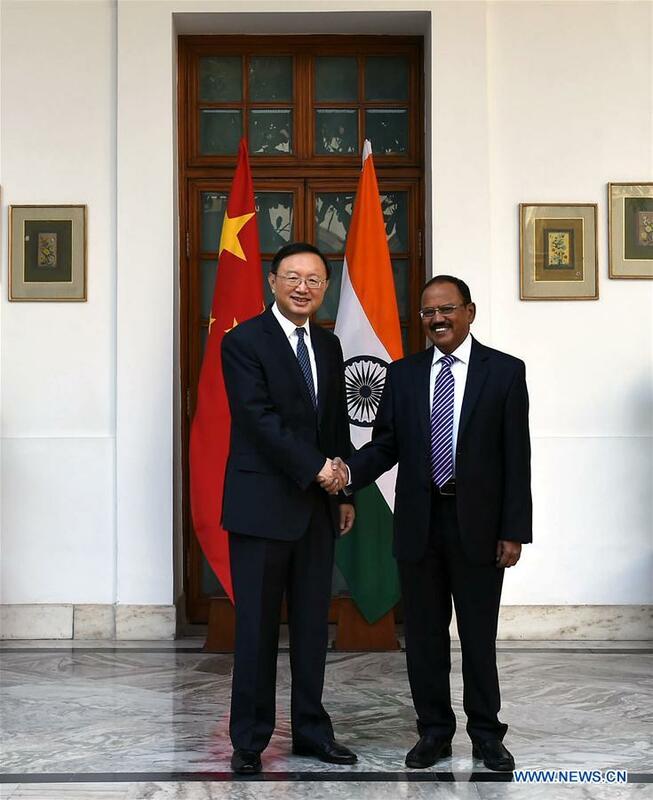 At the 20th round of talks between Chinese and Indian special representatives on boundary issues in the Indian capital Friday, Chinese State Councilor Yang Jiechi exchanged views with Indian National Security Adviser Ajit Doval on bilateral ties, border issues and international and regional issues of common concern. Both sides said the China-India relations have maintained the momentum of steady development under the guidance of leaders of both countries, and common grounds between the two countries far outweigh their differences. Both China and India should better manage and handle differences in accordance with the Five Principles of Peaceful Coexistence and in the spirit of mutual respect and accommodation of each other's concerns, they said. Yang and Doval agreed to strengthen strategic communication and boost strategic mutual trust so as to push forward exchanges and cooperation in various fields and achieve common development. Both sides believed to settle border disputes at an early date suits the fundamental interests of both countries. The two parties should strengthen coordination and communication, properly handle relevant border issues, and safeguard peace and tranquility in the border areas. Both sides also decided to give full play to the important role of talks between the special representatives on boundary issues, maintain contacts and negotiation, and boost strategic dialogue and communication in a bid to create favorable conditions for the development of the China-India relations.